If you have a business trip planned to Salt Lake, Utah then it’s time to get excited because there are so many things to do in downtown Salt Lake City. You cantour the mountain area, dine in a unique restaurant, and explore a landscape that’s a natural wonder. To make your trip even more enjoyable, invest in a few tech items. The right ones will make your visit to Utah easier and more pleasurable. Noise-canceling headphones are a necessity for frequent travelers. You’ll especially appreciate them on the airplane because they’ll block the general noise emitted by the aircraft. They also let you sleep without getting disturbed by chatting passengers, crying babies, and your seat neighbor who may be interested in socializing. They can be a good thing once you arrive in Salt Lake City too. While this isn’t a noisy city like New York, noise-canceling headphones can help you relax at the end of a long day and improve your sleep. While visiting Salt Lake City, consider spending some time in a place like the Wasatch Mountains.To reach this part of the state, you’ll likely need Google Maps or another handy map app. A portable phone charger will ensure that your phone’s battery is at full charge and won’t let you down when you’re in an extremely unfamiliar place. Once in the mountains, you’ll be able to go skiing (in the winter) orhiking any other time of the year. The mountains are in Park City, about an hour away from Salt Lake. This charming ski town has yummy places to eat, art galleries, and fun activities to do like the alpine slide. If you intend to spend any time outside in Salt Lake City, then a weatherproof phone case will be your best friend. Utah weather can be unpredictable. This tech gadget/accessory will save you the nightmare of losing and replacing your phone. If you haven’t already, consider investing in a tablet. Along with making it easy to transport your reading material, you can also use it like a more portable computer, helping you choose where you want to have dinner when traveling to Salt Lake. Great places to eat include Alamexo. This upscale Mexican restaurant serves tasty cuisine. Order the table side guacamole and the enchiladas. The Copper Onion is another downtown restaurant that serves unforgettable food. Try the Wagyu Beef Stroganoff. Featuring a blend of homemade pappardelle, tender beef, creamy crème fraiche and mushrooms, this amazing dish will make your taste buds very happy. Since you’ll be able to view pics of these awesome dishes through the Yelp app on your tablet, the gadget makes choosing where to eat easy. Downtown Salt Lake City offers accommodations from many popular hotel chains. 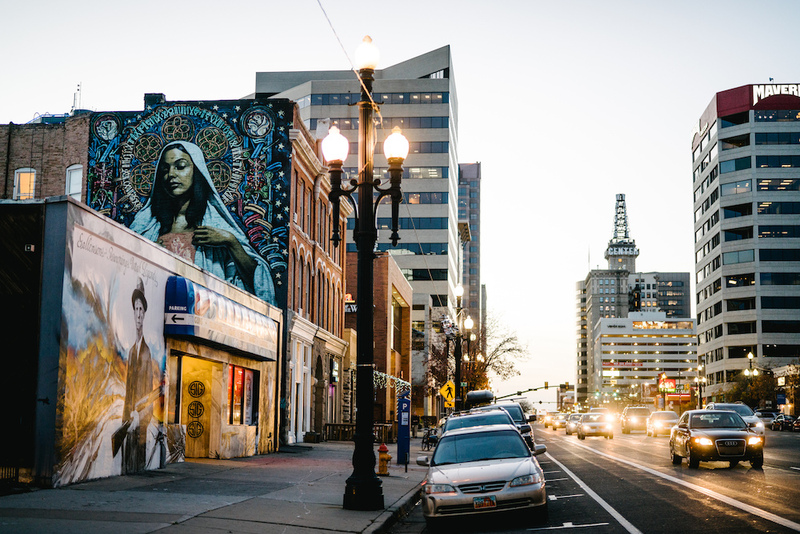 To be close to the city’s unforgettable restaurants and high-end shopping, consider staying at the popularHyatt Place Salt Lake City/Downtown/The Gateway. Affordably priced and amenity-rich, the Hyatt Place provides a comfortable place to return to at the end of a long ski day or when you’ve been to one business conference after another. With the right gadgets, your trip to Salt Lake City is sure to be a fun and interesting experience. Gadgets make things easier and more fun. Invest in a few before your next travel date.